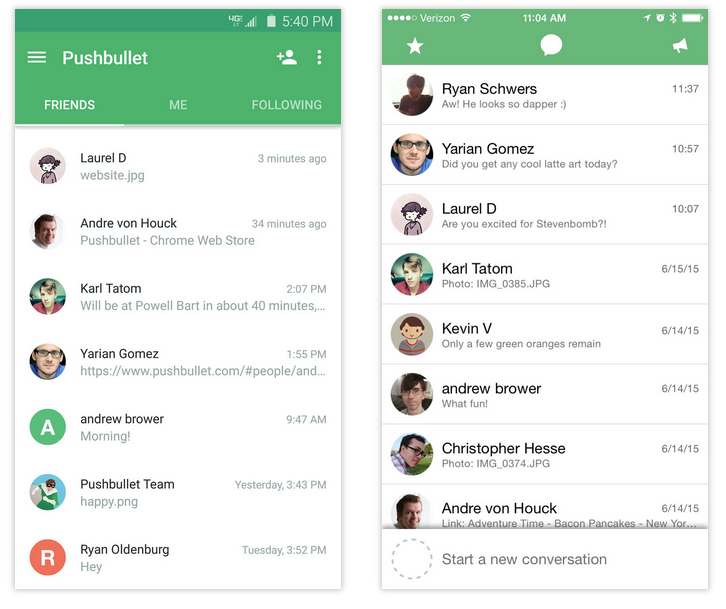 The folks at Pushbullet pushed out a massive update today across all of their apps. In fact, they are calling this their “biggest update ever.” That’s a bold statement for an app that we can’t stop writing about because each update seems to be awesomeness big. This time, though, things really are taking a turn towards the new, as the app is more organized than ever, almost in a messenger-like way. On Android and iOS apps, Pushbullet is now organized by where your file shares came from, meaning you have columns for Friends, Me, and Following. In the Friends section, this is where you have everything sent to and from a friend, so you have history and the ability to have further conversations (see, like a messenger app). The Me section is all of the stuff sent to yourself and all of your own devices. The Following section is a list of all of your channels. It’s pretty great, especially if you use Pushbullet to send and receive files to/from others. Outside of mobile apps, the Chrome, Firefox, Safari, and Opera extensions also make sending and sharing links with friends easier, but you can also pop-out windows to continue conversations. 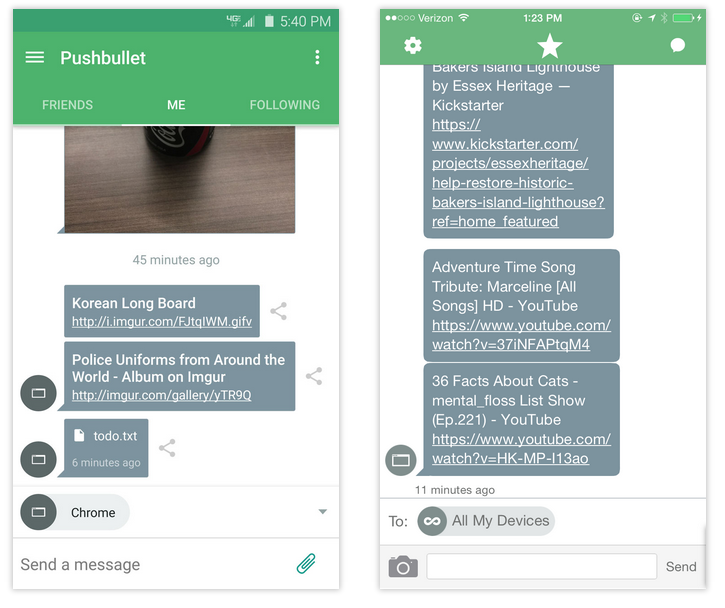 The Pushbullet team made all of this more reliable as well, so if something goes wrong in the middle of a share, these extensions should now tell you. 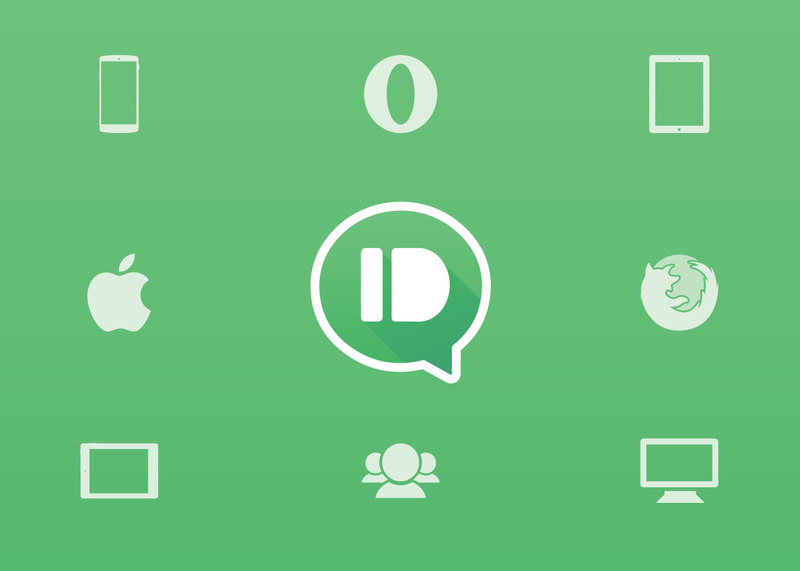 Finally, the Pushbullet Windows app and website received makeovers with all of the stuff we just mentioned. Also, the website has drag & drop of as many files as you can force yourself to send. Below, you can see a short video of the new Windows app in action. The updates are live. Go grab them!